The most popular MOSFET technology (semiconductor technology) available today is the CMOS technology or complementary MOS technology. 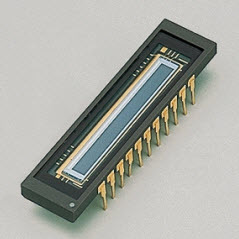 CMOS technology is the leading semiconductor technology for ASICs, memories, microprocessors. The main advantage of CMOS technology over BIPOLAR and NMOS technology is the power dissipation – when the circuit is switches then only the power dissipates. This allows to fit many CMOS gates on an integrated circuit than in Bipolar and NMOS technology. This article discusses about the difference between CMOS and NMOS technology. Silicon IC technology can be classified into types: Bipolar, Metal oxide semiconductor and BiCMOS. The structure of the bipolar transistors has PNP or NPN. In these types of transistors, the small amount of current in the thicker base layer controls large currents between emitter and collector. Base currents limit the integration densityof the bipolar devices. Metal oxide semiconductor is further classified into different technologies under PMOS, NMOS and CMOS. These devices include a semiconductor, oxide and a metal gate. Currently, Polysilicon is more commonly used as a gate. When the voltage is applied to the gate, then it controls the current between the source & drain. Since they consume less power and MOS allows higher integration. The difference between CMOS technology and NMOS technology can be easily differentiated with their working principles, advantages and disadvantages as discussed. 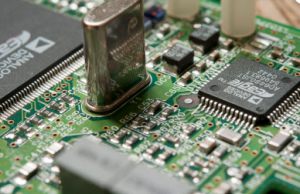 Complementary metal oxide semiconductor (CMOS technology) is used to construct ICs and this technology is used in digital logic circuits, microprocessors, microcontrollers and static RAM. CMOS technology is also used in several analog circuits like data converters, image sensors and in highly integrated transceivers. The main features of CMOS technology are low static power consumption and high noise immunity. When the couple of transistors are in OFF condition, the combination of series draws significant power only during switching between ON & OFF states. So, MOS devices do not generate as much waste heat as other forms of logic. For example, TTL (Transistor-Transistor Logic) or MOS logic, which normally have some standing current even when not changing state. This allows a high density of logic functions on a chip. Due to this reason, this technologymost widely used and is implemented in VLSI chips. These devices are used in a range of applications with analog circuits like, image sensors, data converters, etc.The advantages of CMOS technology over NMOS are as follows. For any IC technology in the designing of digital circuit, the basic element is the logic inverter. Once the operation of an inverter circuit is carefully understood, the results can be extended to the design of the logic gates and complex circuits. CMOS inverters are most widely used MOSFET inverters, which are used in chip design. These inverters can operate at high speed and with less power loss. Also, CMOS inverter has good logic buffer characteristics.The short description of the inverters gives a basic understanding about the working of the inverter. MOSFET states at different i/p voltages, and power losses due to electrical current. NMOS is nothing but negative channel metal oxide semiconductor; it is pronounced as en-moss. It is a type of semiconductor that charges negatively. So that transistors are turned ON/OFF by the movement of electrons. In contrast, Positive channel MOS -PMOS works by moving electron vacancies. NMOS is faster than PMOS. An inverter circuit o/ps a voltage representing the opposite logic-level to its i/p. The NMOS inverter diagram is shown below which is constructed using a single NMOS transistor coupled with a transistor. CMOS stands for Complementary Metal-Oxide-Semiconductor. On the other hand, NMOS is a metal oxide semiconductor MOS or MOSFET(metal-oxide-semiconductor field effect transistor). These are two logic families, where CMOS uses both PMOS and MOS transistors for design and NMOS uses only FETs for design. CMOS is chosen over NMOS for embedded system design. Because, CMOS propagates both logic o and 1, whereas NMOS propagates only logic 1 that is VDD. The O/P after passing through one, the NMOS gate would be VDD-Vt. Therefore, CMOS technology is preferred. In CMOS logic gates, a set of n-type MOSFETs is positioned in a pull-down network between the low-voltage power supply rail and the output. Instead of the load resistor of NMOS logic gates, CMOS logic gates have a collection of P-type MOSFETs in a pull-up network between the high-voltage rail and the output. Therefore, if both transistors have their gates connected to the same input, the p-type MOSFET will be on when the n-type MOSFET is off, and vice-versa. CMOS and NMOS both inspired by the growth in digital technologies, that are used to construct the integrate circuits. 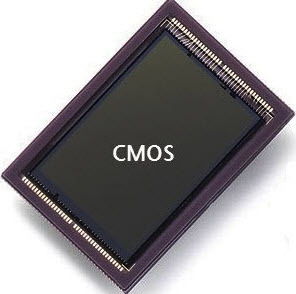 Both CMOS and NMOS are used in many digital logic circuits and functions, static RAM and microprocesors.These are used as data converters and image sensors for analog circuits, and also used in Trans-receptors for many modes of telephone communication. While both CMOS and NMOS have the same function as transistors for both analog and digital circuits, but many people still choose the CMOS technology to the latter for its many advantages. As compared to the NMOS, the CMOS technology is top in quality. Especially, when it comes to its features like low-static power utilization and noise resistance, CMOS technology conserves energy and it does not produce heat. Though costly, a lot of people prefer the CMOS technology due to its complex composition, that makes it hard for the black market to fabricate the technology used by the CMOS. The CMOS technology and NMOS technology along with its inverters, differences are discussed in brief in this article.Therefore, CMOS technology is best for the embedded system design. For better understanding of this technology, please post your queries as your comments below.